CEO and Founder of CATMEDIA, Catherine Downey, is joining the 2018 Georgia Mentor Protégé Connection, and will be apart of the efforts to increase the number of jobs in the state of Georgia. “It has been great getting to know other small businesses and learning about their stories, as well as spending time with our mentor COX Enterprises,” says Downey. 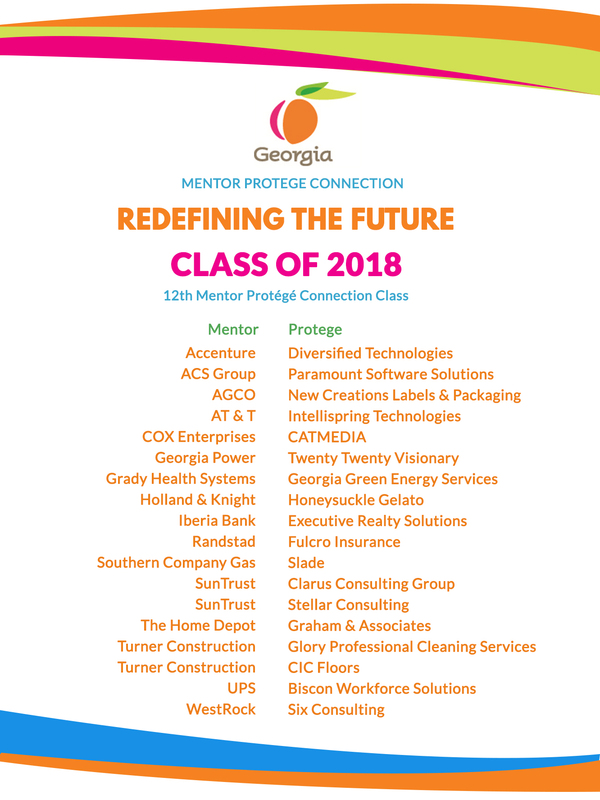 CATMEDIA CEO, Catherine Downey, has been accepted into the 2018 Georgia Mentor Protégé Connection (MPC). MPC is a business development program administered by the Georgia Education Foundation (GEF), in partnership with the Department of Economic Development and the Georgia Institute of Technology. The idea behind this program is to increase the number of jobs in Georgia through business development, and develop the business knowledge, performance capacity, and competitiveness of small businesses. The MPC helps emerging firms avoid the pitfalls and mistakes that can potentially hinder business growth. The program does this by introducing mentor corporations to potential new suppliers and contractors, and by allowing protégé principals to tap into the experience and expertise of senior firms. This year, CATMEDIA has been paired with Atlanta conglomerate, COX Enterprises. Emerging firms that are accepted into the MPC program have an opportunity to make tremendous strides in areas such as business acumen, methods and procedures, competitiveness and capability. The ultimate goal of the program is to create jobs, and spur economic growth throughout the state of Georgia by building the capacity of small business firms. To learn more about the Georgia MPC, click here!